When I first received our TRX7 sample, it appeared to be a fine product with a design mission I could get behind. Aimed at the off-road enthusiast, that’s me, I assumed it would have a few nice bells and whistles, but admit I didn’t expect such a comprehensive navigational system. It’s far more than just a dash-mounted GPS unit. 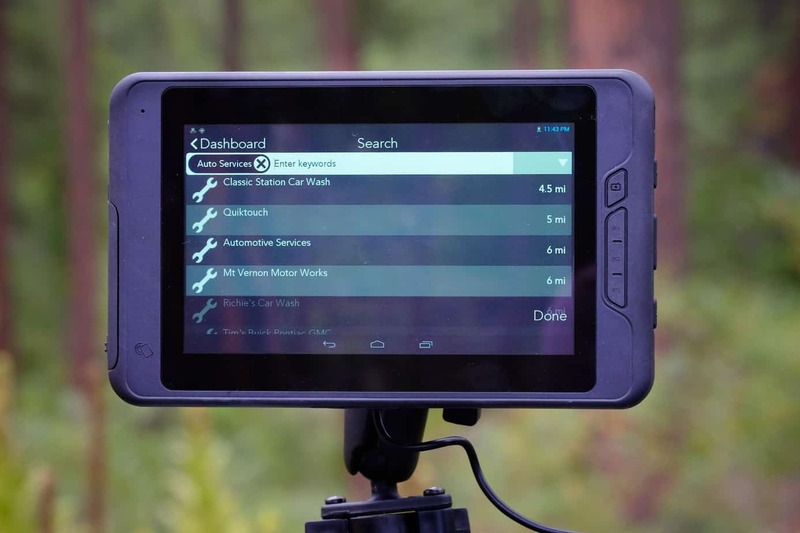 Available in three different kits, all with the same main unit, our’s arrived with a RAM dash mount for 4×4 users. The other two are sold with a suction cup mount or Ram handlebar attachment. Without going into pedantic detail, the box also had the expected accessories which included cables for AC and 12V power, a manual, and other small parts. The main unit itself impressed me the minute I powered it on. 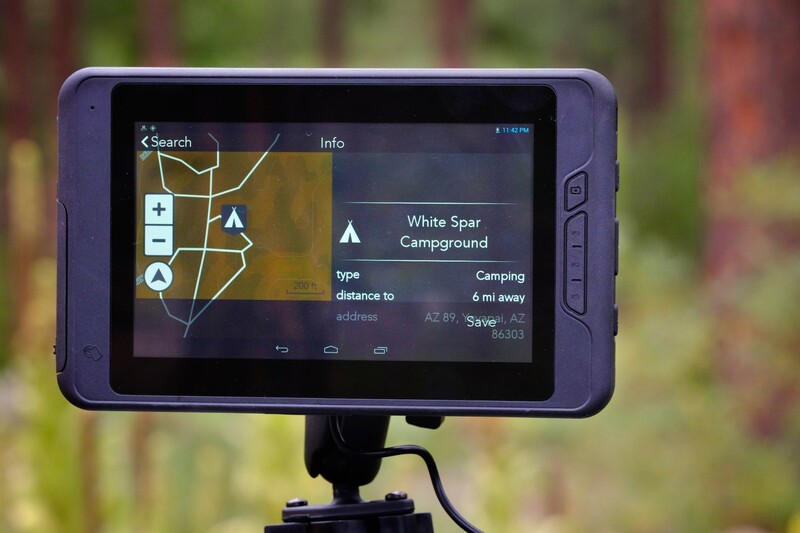 With a 7-inch color touchscreen, it has the presence of a small tablet, more so than a typical GPS device. The display is bright and easy to read in all light conditions, and the buttons on the edges and face are well placed, even if they are a little small and not very tactile when depressed. 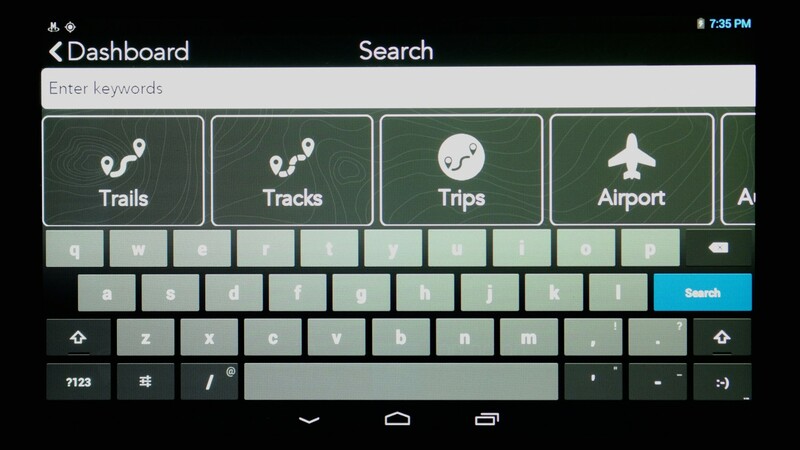 Fortunately, most inputs are directed through the touchscreen. 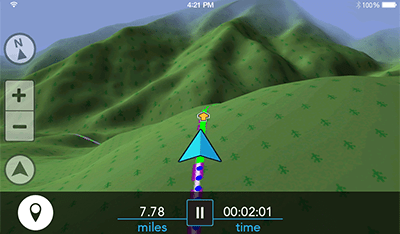 As expected of any such tool, the GPS-enabled TRX7 can display maps in 2D and 3D views, record tracks, and be programed with your own custom routes. There’s nothing radical there, although it performs those functions better than most. 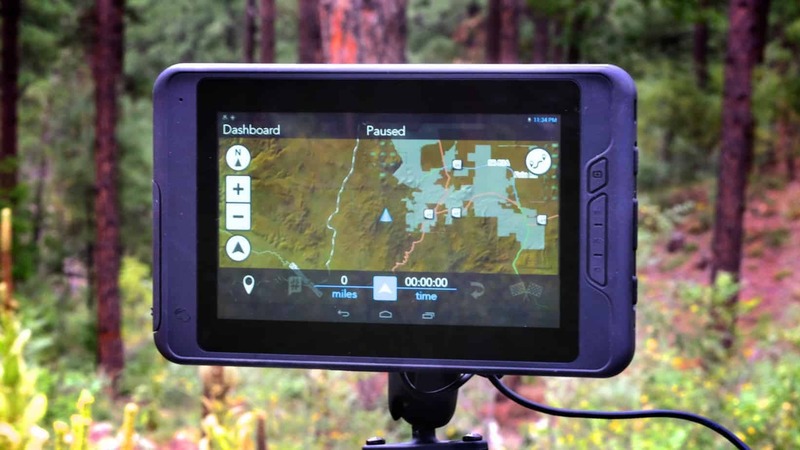 Where it starts to get interesting is with the 44,000 preloaded off-road trails located in various National Forest, BLM and other public jurisdictions throughout North America. Magellan is quick to point out that the current inventory of trails in that catalog is continually growing. The real potential will be realized with the increase in people using the myTRXjournal.com database, a crowd shared resource of off-highway tracks. 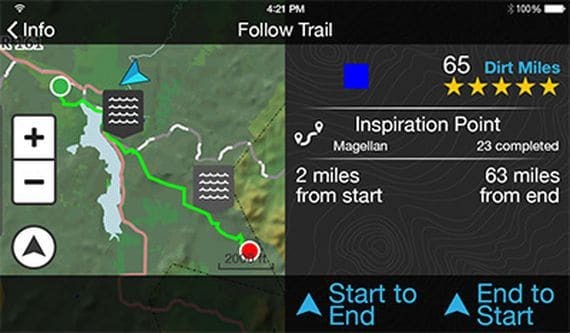 Users of the TRX7 can upload their travels to that website to catalog their routes while adding useful pieces of information to be shared with other users. 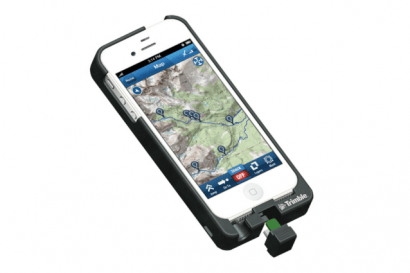 While on the trail, the device can mark waypoints, places of interest, even document sections of the route that are particularly challenging, require low range, or include difficult obstacles. To facilitate an easy transfer of information from the TRX7 to a laptop or desktop computer, the device is equipped with Bluetooth and Wifi functionally and can sync as soon as the unit is within signal range of those devices. If you’re anything like me, I often load a route into a GPS unit, head out into the sticks, get diverted by unforeseen circumstances or my own unexpected change of mind, and end up switching the unit off. With the TRX7 and the extensive catalog of routes built into its memory, I can quickly search for nearby tracks and resume my adventuring with confidence I know where I’m headed. The search criteria for nearby trails can be filtered by difficulty, need for low range, and other variables that help with the decision making process. I see some room for caution with these ratings as they are subjective and established by the user community. Expect some discrepancies in what constitutes an easy, or extreme trail. Other useful features include the ability to create unique profiles for multiple vehicles, and not unlike an actual tablet, it has an internet browser, email manager, music function, and is compatible with many Android apps, although not through the Google Play resource. From a more nuts and bolts perspective, the TRX7 is IP67 rated against impact, dust, and water intrusion, which makes it sufficiently waterproof to be used on motorcycles or open top vehicles. 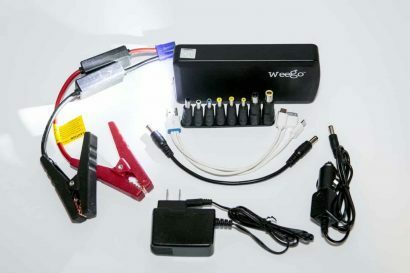 A built-in rechargeable battery allows the device to be used outside the vehicle for short hops and it even has an orientation sensor which automatically changes the display from horizontal to vertical viewing as it is rotated. 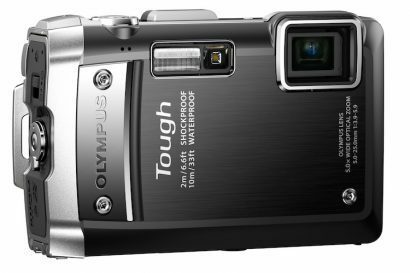 A 64GB MicroSD card slot can be used to expand memory for those longer epics. Although we have yet to use the TRX7 for more than a few outings, it appears to do precisely what it was designed to do, and I must say, it does it extremely well. Signal accuracy seems nice and tight and updates quickly. 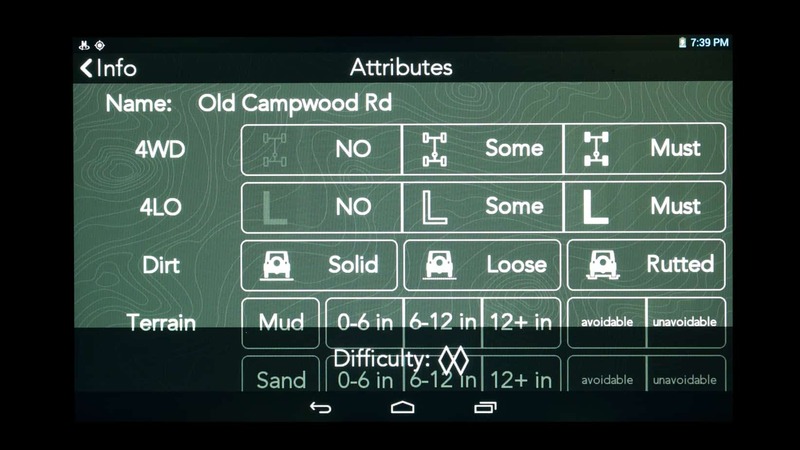 The touchscreen is sensitive enough to not require hard jabs to get it to read inputs, and the functions seems easy to learn and navigation through those features is relatively intuitive. The big question asked by many is central to the quality and relevancy of the trails in the preloaded track inventory. The Expedition Portal HQ is located within several thousand miles of trails, all accessible within a single tank of fuel. 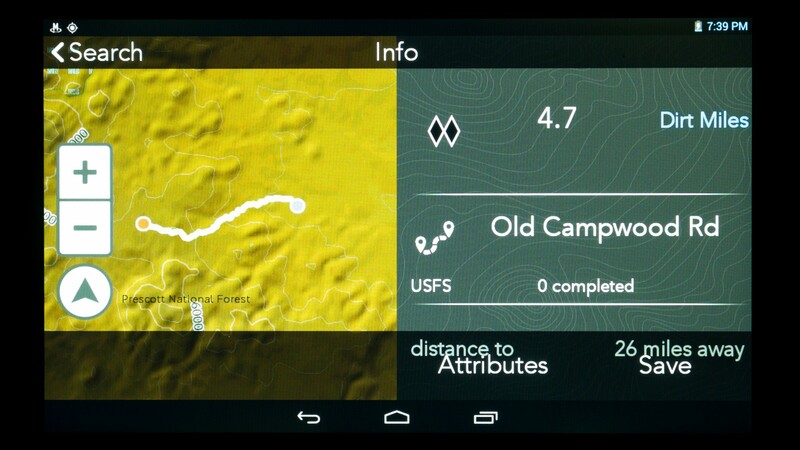 The TRX7 seems to list most of the major tracks in the area, and a surprising number of lesser known roads, but I can already see a few blank spots on the map. I’m sure they’ll get filled in time, and as a backroad enthusiast, it gives me reason enough to go record those sections myself.